The device is a testbed for a new Internet of Things platform. 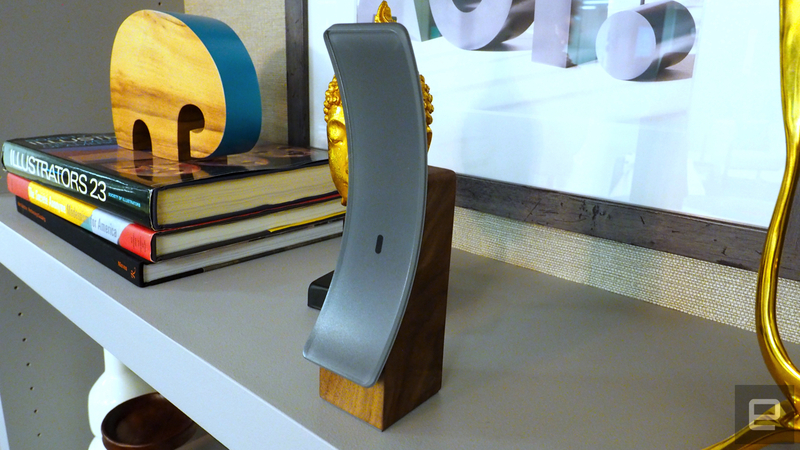 As useful as Nest's Dropcam is, it isn't the best looking home monitoring camera. Still, there aren't many of them that do a better job design-wise. 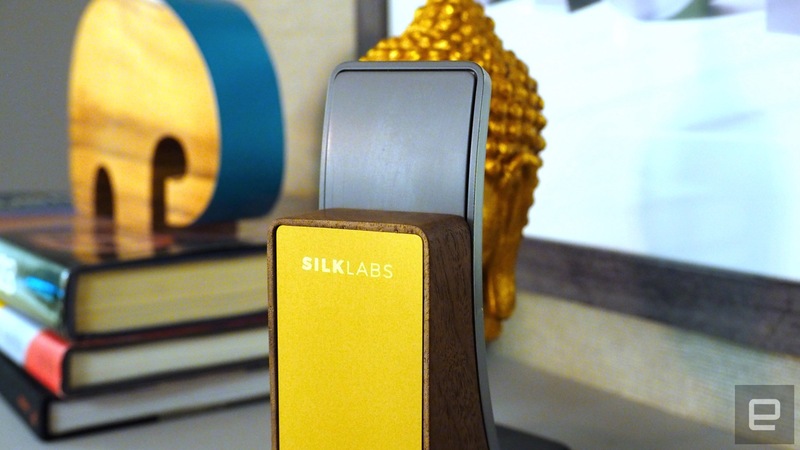 Silk Labs, a startup founded by Mozilla's former CTO, Andreas Gal, sees this as an opportunity to offer something different. Enter Sense, which is similar to Dropcam in functionality but also comes with a few notable differences. For example, it's said to be smart enough to recognize multiple faces; that can be used to let you know if it thinks a stranger is in your home, or play music based on a particular individual's taste. Sense (pictured above) also pairs with third-party hardware, such as Sonos speakers and smart light bulbs, among others. Not surprisingly, you'll find a built-in microphone and speaker on the back of it, used for voice recognition and more features that may be added in the future. Meanwhile, the Sense's industrial design is intended to blend with people's lifestyle, according to Gal. It's supposed to be "something you're happy to put in your living room," he says. Gal, who left the Firefox team in 2015, told me that Silk Labs' goal with Sense is to create a whole new Internet of Things platform: "We are not a hardware company," he says. Instead, Gal hopes the device will drive interest from both developers and manufacturers, especially since Sense and the software powering it are going to be open source. The Kickstarter is launching today, with the product priced at $225. And Gal doesn't want you to worry about it being a crowdfunded project, because Silk Labs isn't financed that way. "Kickstarter is just a way to bring this to people," he added.